Should I replace my Windows in the Winter? Sometimes homeowners have the question of whether or not to replace their windows in the winter. No matter what season you replace your windows there are only two factors that are crucial to the success of your project – the quality of window you purchase and that the correct installation techniques are performed. Unfortunately, you can run into window companies that will sell you a very expensive window and then subcontract the installation out to a company that you’ve never met, which means you don’t know how well your installation will go. Efficiency Home Improvements does not and has never subcontracted any of our window installs, and that is something we pride ourselves in. Will there be a temperature change in the home? During the winter months, there are a few changes in how an install takes place. The installers have to be more conscious of the cold weather, we want your home to stay as comfortable as we can while an install is taking place. That’s why two installers will be at a window instead of one. Some might be afraid of a temperature change in the home while the install is going on, and there typically isn’t one. The in and out process is so quick homeowners rarely have an issue. There are cases where some styles of windows require the glass to be removed before the frames. This type of window may impact the overall temperature because the hole isn’t filled as fast. We also do simple practical things like closing the door to the room were working in when there are extreme temperatures. No matter what we limit the amount of cold/hot air exchange as much a home will allow. Can you see signs of moisture better in the winter? The winter months in Tennessee are usually drier than the summer, but moisture is more obvious. 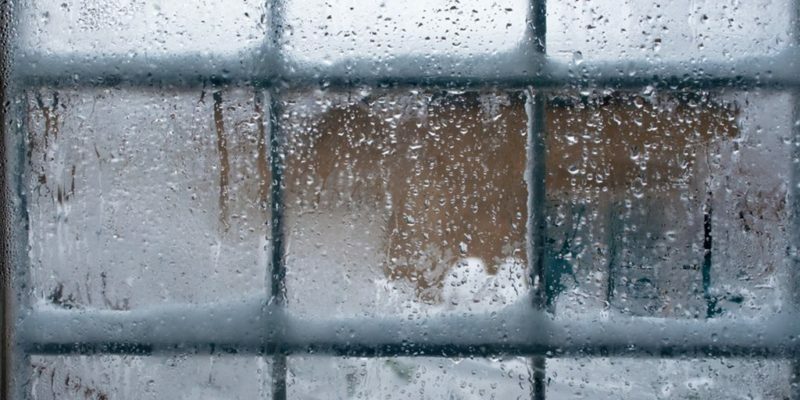 Inefficient windows tend to develop condensation on the inside of the home during the winter. Will the install team be tracking in the outside into the home? is, we are creating holes in the side of the home. So no matter how big or small the job, we always vacuum and wipe down the work areas before leaving the home. Cleanup is a process we work on through the duration of the install and is the last thing we do. 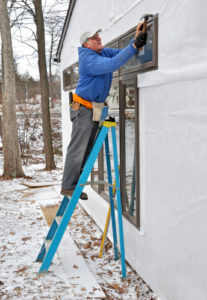 If you have any questions about your window installation this winter give us a call!